When you think of starting an online store that sells digital goods, selling documents probably isn’t the first thing that comes to mind. What most people don’t realize, however, is that digital documents are still one of the best-selling digital products. In this in-depth guide, we’ll show you how to get started with selling documents online using the most popular WordPress e-commerce plugins. We’ll look at everything you’ll need to get started and walk you through step by step instructions on how to set up an online store that sells documents in WordPress. You’ll learn how to create a fully functional e-commerce website to sell documents online using either WooCommerce or Easy Digital Downloads, with the documents listed in an easy-to-find table layout ideal for maximizing sales. We’ll talk about how to sell digital documents, and how to sell printed documents that you will post to customers. But before we begin, let’s take a look at why you should sell documents online. Why should you sell documents online? It’s no surprise that documents are some of the most popular digital products. They’re easy and cheap to create and the take up very little storage space on your virtual shelves. Creating a digital document to sell online requires nothing but a computer, your time, and some mental energy. If you have some ideas in mind and little bit of time to invest then there’s no limit to what you can create and sell. Not to mention there are tons of online tools that can help you out in the design department. And because documents are digital products, storing them on your website’s server takes up very little space. Unlike physical goods, you don’t have to worry about carrying and maintaining large inventories when you sell digital documents online. Documents are sustainable and incredibly easy to distribute (we’ll take a look at this in a minute). For starters, you’ve put together something that can be downloaded. Downloadable products, like documents, give users the option to store them directly on their devices and access them offline whenever they’d like. In the case of templates, users can print them out as many times as they’d like without having to worry about losing quality or converting them to different formats. This saves users valuable time in having to do it themselves which makes downloadable documents excellent products to sell online. Locking-in documents to registered devices. Disabling Save As, Select All, CTRL + C, CTRL + V, right-click + Copy, right-click + Paste, and print screen commands. Stopping screen capturing tools from taking screenshots. Applying automatic, custom watermarks to the document. If done right, selling documents online in WordPress can be an incredibly lucrative business venture. At this point you may be wondering what types of documents you can create. And more importantly, what types of documents sell online. What types of documents can you sell online? Let me answer your question with another question: what types of documents do you want to be creating? When it comes to creating marketable documents, there’s something in store (pun intended) for just about everyone. If you’re a creative, you could sell design templates or sheet music. And if you’re in the legal business, there are tons of legal templates people search for from tenancy agreements to living will and bill of sale to non-disclosure agreements. In B2B circles, white papers, case studies, and industry reports are always in demand. There’s so much you can do when it comes to selling documents online that, in some cases, you won’t even have to create content from scratch. For instance, you can repurpose existing blog posts into manuscripts or how-to guides and save readers time from digging them out on your own. There’s a lot of value in curating and packaging high-quality content in just about every niche. E-commerce plugins give you the option to sell your documents in a choice of file formats, languages, or color schemes, depending upon the document type. For instance, if you were selling calendar templates that you had custom designed in Adobe Photoshop, you might want to offer them in a variety of colors. Or if you were to sell a project proposal document that you created in Adobe InDesign, it might be a good idea to offer it in both .indd and .idml file types. In the next section, we’ll show you how you can use two of the most popular WordPress e-commerce plugins – WooCommerce and Easy Digital Downloads – to sell documents online. Both plugins are excellent e-commerce solutions for selling digital products and both offer outstanding customer support. You’ll also learn how to list documents in an easy-to-find document library format which will help you to sell more documents. WooCommerce is the best (and most popular) e-commerce solution for WordPress websites. In fact, over 44% of all online stores – selling both physical and digital goods – are powered by WooCommerce. 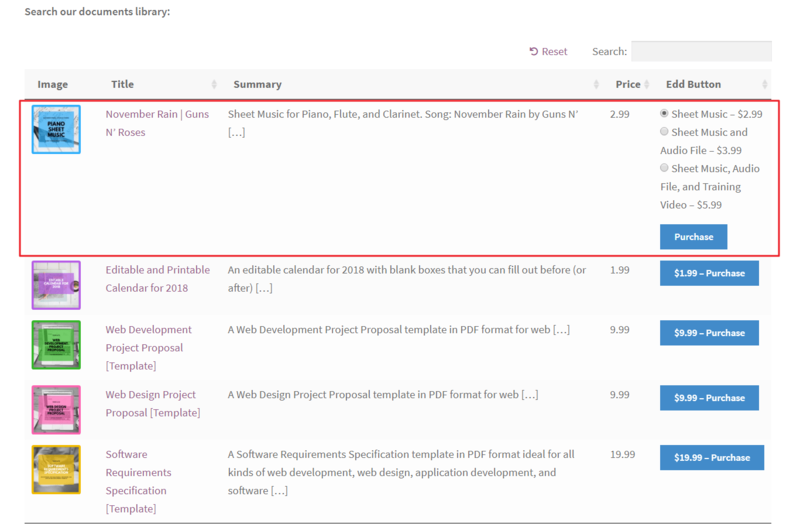 One key benefit of selling documents online in a WooCommerce document library is that it lets you sell variable products. What this means is that you have the option to sell both print versions and downloadable versions of your documents. Easy Digital Downloads is another popular e-commerce plugin for WordPress that specializes in selling virtual and digital goods. Most people use the plugin to sell downloadable products like software, e-books, audio files, and documents. Since WooCommerce and Easy Digital Downloads are both great options for selling documents online, deciding which one to go with can be pretty difficult. If you’re going to be selling digital documents only then you can go with either WooCommerce or Easy Digital Downloads. If there’s a chance that you’ll be selling print versions of your documents then go with WooCommerce. This is because you’ll likely be charging for postage. Easy Digital Downloads doesn’t offer delivery and shipping options. 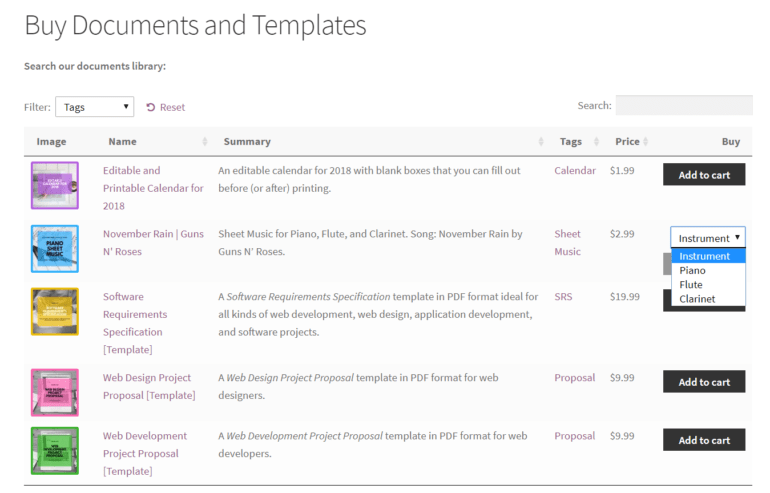 It’s easier to list documents in a table if you’re using WooCommerce. We’ll walk you through a tutorial on how to do this with both WooCommerce and Easy Digital Downloads in the following sections. There’s an extra step involved if you’re using Easy Digital Downloads which happens automatically if you’re using WooCommerce. 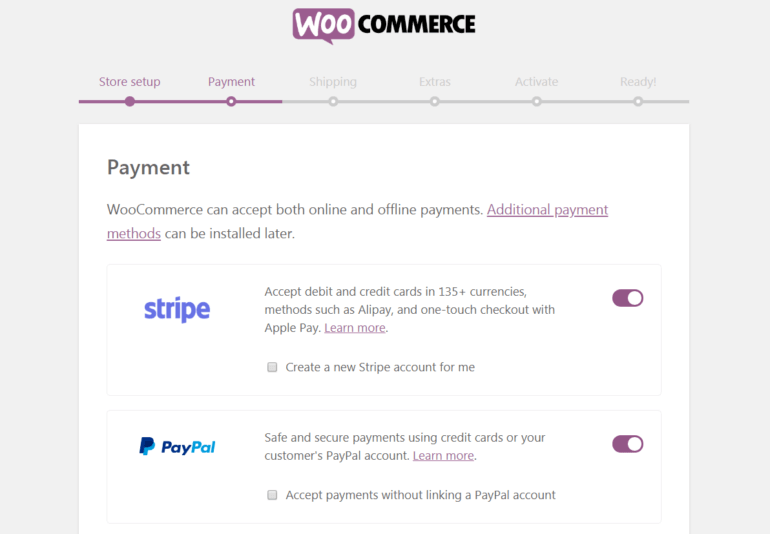 WooCommerce also has a better choice of add-ons to improve the way you sell documents. 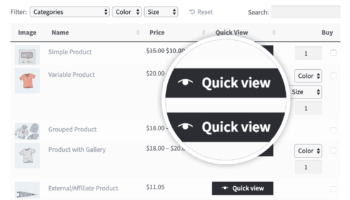 For example, if you want to add product quick view then you’re better off with WooCommerce. So, if you’re looking to keep things simple or perhaps want to be selling print versions of your documents then you should use WooCommerce. However, if any of these scenarios don’t apply to you then you should read a bit more about each plugin and see which one is best for your specific business needs. Here, we’ll walk you through a step by step tutorial on how to sell documents online using WooCommerce in WordPress. We’ll start off by setting up WooCommerce, add documents to the library, list the documents on our website, and start selling. We’ll also share some helpful tips on how you can sell more by using some tried and tested strategies for selling digital products. Log into your WordPress website’s admin panel, navigate to Plugins > Add New, and search for WooCommerce. Install the WooCommerce plugin and activate it to your website. Once the plugin is activated, you’ll be prompted to run the Store Setup Wizard. Run the wizard and configure your online store’s payment and shipping options. It’ll ask you: What type of product do you plan to sell? Select the I plan to sell both physical and digital products option if you want to be delivering and shipping your documents in addition to offering downloadable versions. On the payment gateways screen, enter your PayPal email address. If you want to offer credit and debit card payments then we recommend going with Stripe. It’s a good idea to offer both a PayPal option and a credit/debit card option so that it’s easy for customers to make payments. Click the Create a Product button to continue. You’ll be redirected to the Add new product screen to add the document you want to sell through your online store. Make sure Simple product option is selected. Add a price for your document. Navigate to Products > Add New and repeat these steps to add all of the documents you want to sell through your online store. Now that you have your documents added to your WooCommerce store, you need to display them on your site’s front-end so that potential customers can view their details and buy them. 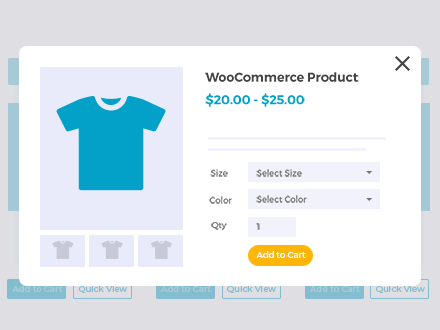 Although WooCommerce comes with the free Storefront theme in addition to some built-in options for displaying your products on the front-end, these layouts aren’t suitable for selling documents. If you’d like to go for a more professional look, it’s a better idea to list your documents in a table-style layout. 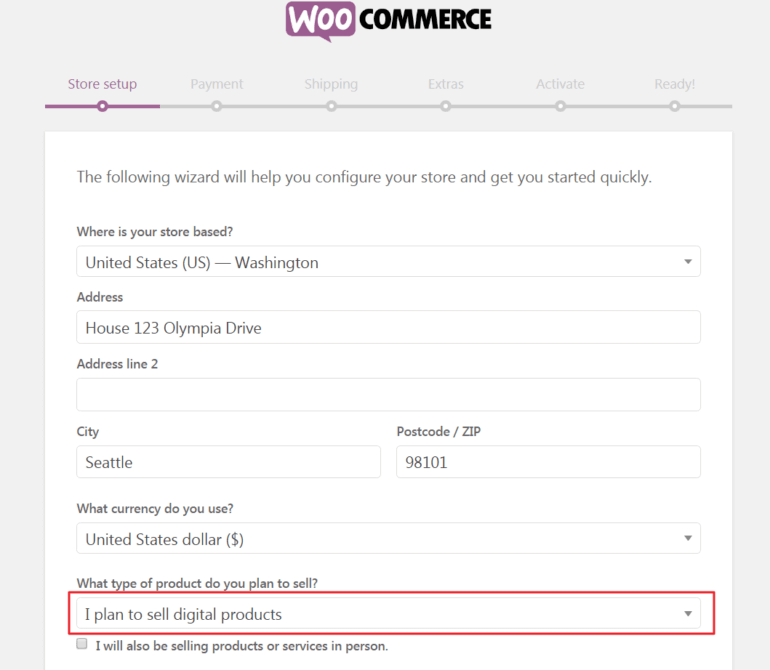 You can do this in a few simple steps using the WooCommerce Product Table plugin. 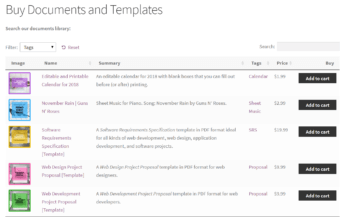 Since you’ve already added your documents to your WooCommerce store, the WooCommerce Product Table plugin will automatically create a responsive table and list your documents in it. Start selling documents from your site. The key benefit of listing your documents in a table-style layout is that it is information-centric and puts the focus on your documents’ specifications instead of on product images. In addition to this, it makes it easy for potential customers to search for the document they’re looking for using built-in filters and a keyword search box. Customers can view document pricing information, select options, and add documents to their cart directly from the document table. 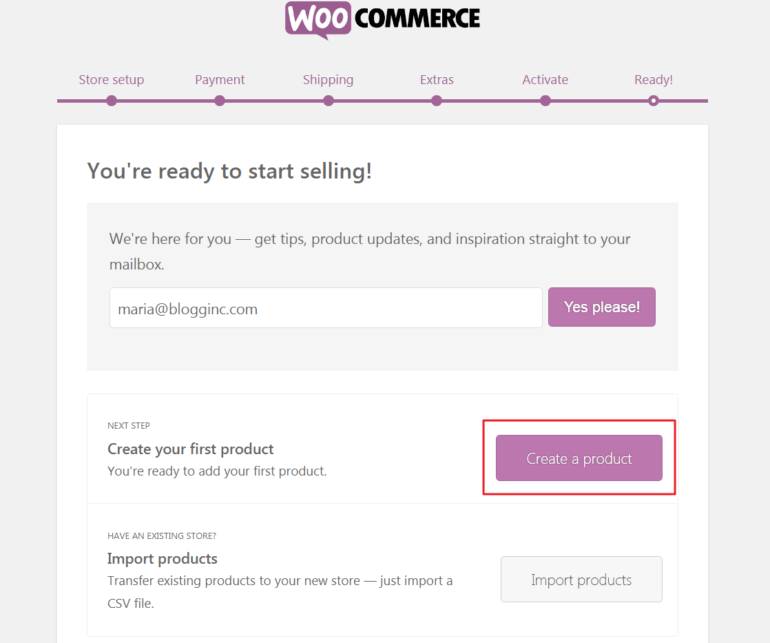 Install and activate the WooCommerce Product Table plugin to your WordPress website. 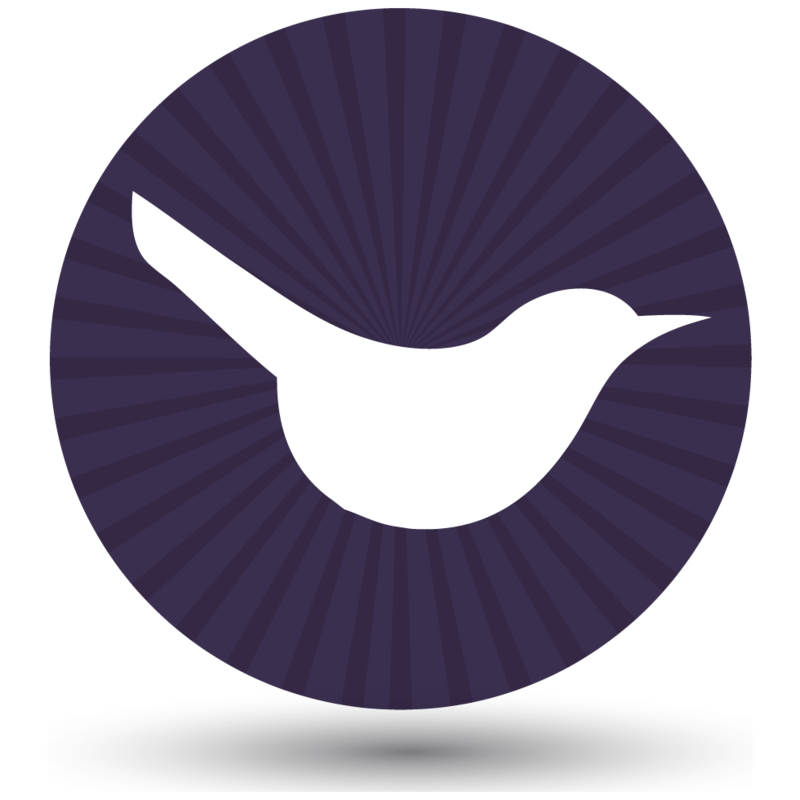 Navigate to WooCommerce > Settings > Products > Product tables from the admin panel and enter your license key. Configure the product table’s options based on your personal preferences and click Save changes to continue. Head over to Pages > Add New and create a new page where you want to list the documents. Click the Insert product table button in the toolbar to add the following shortcode to your page: [product_table]. If you want to provide more information or multiple images, then customers can click through to the single product page. However, that’s not ideal because it takes the customer away from your list of documents. There’s a risk that they could get lost. As a result, they might only buy one product from you. And of course, you want them to buy multiple documents! Instead, you can use quick view to show extra information and images in a popup window. Customers click on the quick view links or buttons to open a lightbox. This keeps them on the main list of documents, and there’s no chance they will get lost. Customers can close the quick view or add the document to the cart directly from the quick view lightbox. Make sure Variable product option is selected. 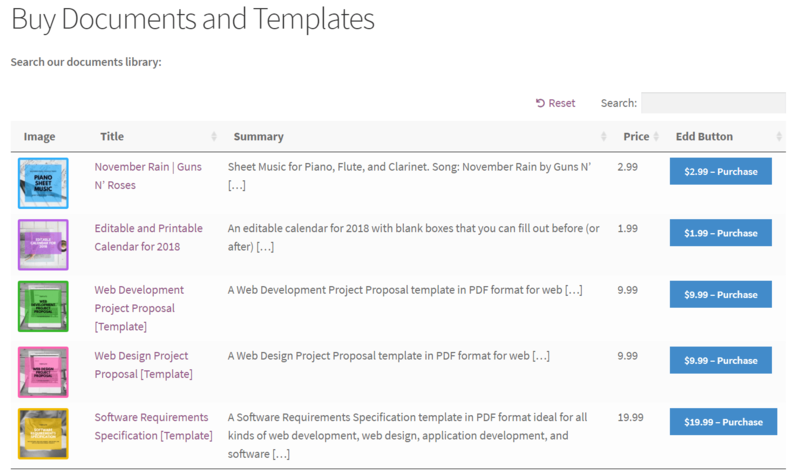 Create attributes for the product from the Attributes For instance, we could set an Instrument attribute for our sheet music document. Set variations for the products from the Variations Following our example, we might set three instruments – piano, flute, and clarinet. Click Save changes to proceed. And that’s not all! The WooCommerce Product Table plugin comes with a number of handy features to make your documents table visually appealing and improve your customer’s user experience. For instance, the filter options make it easy for potential customers to find documents. 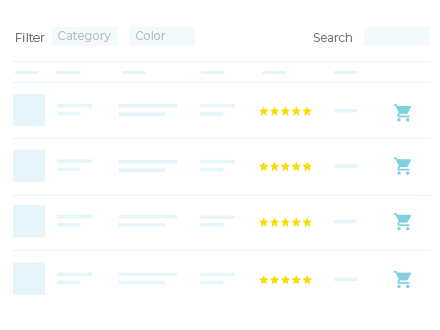 You can also choose the columns you’d like to display on the front-end. 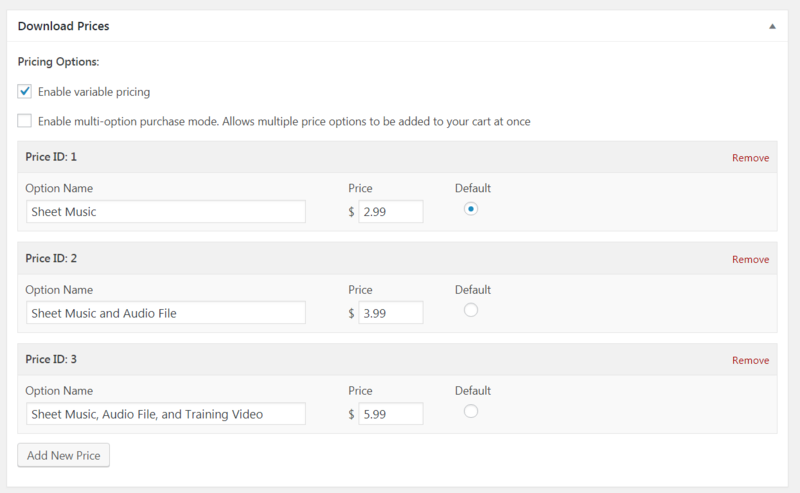 And it’s also got options for replacing the Add to cart button with checkboxes so that people can easily buy multiple documents from you and add them all to their shopping cart together. In this section, we’ll walk you through a step by step tutorial on how to sell documents online using Easy Digital Downloads in WordPress. Log into your WordPress website’s admin panel, navigate to Plugins > Add New, and search for Easy Digital Downloads. Install the Easy Digital Downloads plugin and activate it to your website. Once the plugin is activated, head over to Downloads > Settings and configure the plugins’ settings based on your personal preferences. Navigate to Downloads > Add New from the WordPress admin panel. Repeat these steps to add all of the documents you want to sell through your online store. Next, it’s time to display the documents on your site’s front-end. Since Easy Digital Downloads is a designed specifically for selling digital products online, you can simply choose to go with its default layout. 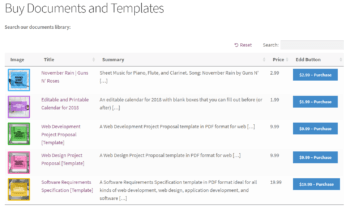 However, if you want to kick things up a notch and offer potential customers a better user experience then you can your documents in a filterable, searchable table-style layout using the Posts Table Pro plugin. With Posts Table Pro, you get a dynamic table plugin that lets you list your documents neatly in a table view. The table view is fully configurable and you can use it to display important information about your documents. This way, your potential customers will be able to view the document’s name, description, price, and a button to add them to their shopping cart. Install and activate the Posts Table Pro plugin to your WordPress website. Navigate to Settings > Posts Table Pro from the admin panel and enter your license key. Follow these instructions to list your documents in a table. Easy Digital Downloads comes with a Variable Pricing option that gives you the option of adding different options for a document. You can use this option to offer product add-ons or other document variations. For example, if you’re selling sheet music, you might want to give your customers the option to purchase an audio recording or a training video of it from you, as well. Make sure Enable variable pricing option is selected. Add as many price options as you’d like and give each one a price. Selling documents online can be a lucrative business if you have the right tools to help you set up and manage a documents library in WordPress that customers can buy from directly. WooCommerce and Easy Digital Downloads both offer features that allow you to automate your sales process. Pair them with either the WooCommerce Product Table plugin or the Posts Table Pro plugin to display them in a filterable and searchable table view complete with Add to Cart buttons. Have you used any of the methods outlined in this tutorial to sell documents through your online store? We’d love to hear from you, so let us know by commenting below! Thank you so much for this content! It's exactly what I was looking for with the questions I had as I begin setting up my new website. Do you have any book recommendations that teach what you just straight me in this page? Hope to hear from you soon, thanks for your service to humanity. I'm glad you liked it! There aren't any books about this, and the tutorial should provide complete instructions. Hi Barry, you can use the instructions in this tutorial to sell documents in any format, including formats such as Word that the client can fill out and then email back to you. Alternatively, instead of selling an actual file, you could create a downloadable product where people will be sent a URL when they purchase it. You could use this to add the URL of an online form that the client can fill in, e.g. a hidden page on your website containing a Contact Form 7 or Gravity Forms form. Is it possible to sell printed and digital books (pdf, ebooks) side by side using Wordpress and WooCommerce, and possibly other plugins, integrated in the same website? Yes, you can sell other printed and digital books on the same website. When you add each product in WooCommerce, you can choose whether to add it as a normal Simple or Variable product (which you would use for your printed books) or as a Downloadable product (which you would use to sell PDF's and ebooks). You can use the WooCommerce Product Table plugin to list them - either in the same table, or in different tables on the same website. Which part or which plugin covers the DRM? 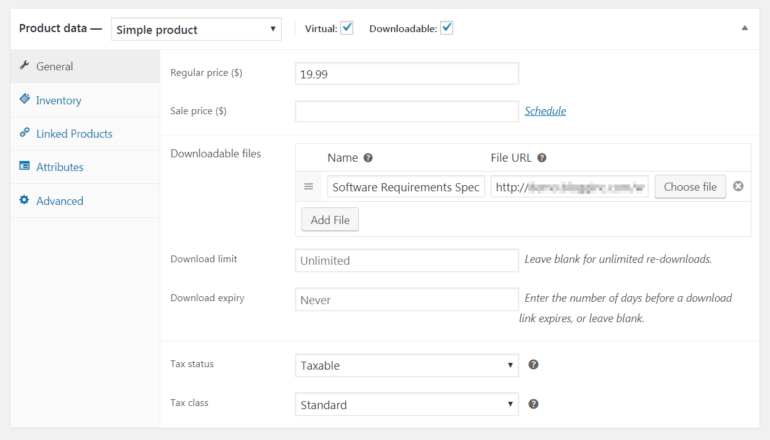 Both WooCommerce and Easy Digital Downloads have built-in features to protect your digital files. Their respective knowledge bases contain more information about the exact options for this.